Did you know there are 48 million birders in North America? Or that the hobby of birding is a $93 billion industry? 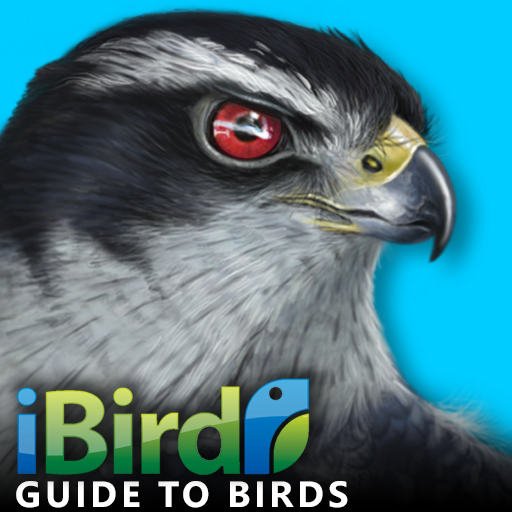 Whether you are a bird lover or a newbie to the hobby, iBird Plus is the very first purchase you should make. Why? Because iBird will turn your computer, tablet or smartphone into the worlds best and coolest digital field guide to birds on the planet. And it will help you identify, catalog, and learn everything under the sun about these magical creatures. With a patented visual search engine and extraordinary depth, the iBird Guide to Birds of North America will have you identifying bird species like the experts with just a few taps. Once you have identified your bird use the app’s amazing collection of illustrations and photos to study its features and characteristics, or what birders like to call its GISS. Then use one of its 3,000 audio recordings. Essentially iBird lets you say goodbye to large, heavy and easy to forget printed book based guides and replaces them with a multimedia marvel that will teach you how to ID birds like an expert, provide you with literally dozens of illustrations, photos, textual and numeric information and much much more. Here are just a few of the things that make iBird the perfect app for birders. ▶ THE WORLDS MOST POPULAR BIRDING APP now comes to Windows 8 with features that go far beyond any field guide on the planet. ▶ AS SEEN IN APPLE’S TV COMMERCIAL “We have an app for that” (ibird.com/itchy). ▶ INCLUDES 816 SPECIES OF NORTH AMERICA INCLUDING CANADA, NORTHERN MEXICO AND BAJA CALIFORNIA ▶ GORGEOUS HAND DRAWN ILLUSTRATIONS – for every species along with many photos from professionals that show the species in its natural environment. ▶ COMMENTS – LEAVE MESSAGES ABOUT EACH BIRD ON ITS SPECIES PAGE, SAVE YOUR OWN NOTES AND MARK BIRDS AS FAVORITES . ▶ 20 POWERFUL SEARCH ATTRIBUTES TURNS YOU INTO A BIRDING EXPERT – iBird searches by color, shape, size, habitat, backyard feeder, family, four kinds of color (primary, secondary, prominent, breast and crown) and much more. ▶ PATENTED “S.A.V.E” SEARCH ENGINE – guarantees you will never see “no birds found. This marvelous invention awarded patent 7,363,309 from the US Patent Office uses an elimination decision approach so that you are only presented characteristics which help narrow your search.”* ▶ TUTORIALS – Explain how and when to use each search attribute along with lessons on birding. ▶ AUDIO SONGS AND CALLS – iBird offers 5 hours of bird songs and calls. 154 more species song tracks than any other bird app! ▶ CONFORMS TO ABA AND AOU STANDARDS –iBird follows standards set by the American Ornithological Union and the American Birding Association. As an example check the splits of the Winter Wren and Whip-poor-will. ▶ TAXONOMIC SORT – Sort species by taxonomic (evolutionary) or alphabetic order. AWARDS and ACCOLADES for iBird: ▶ MACWORLD’S “BEST REFERENCE APP 2009: 4 ½ out of 5 mice.” ▶ O’REILLY “BEST IPHONE BIRDWATCHING APP 2009″ ▶ RUNNER UP: 2011 BEST APP EVER AWARD FROM 148APPS.COM ▶ RECOMMENDED BY SCIENTIFIC AMERICAN MAGAZINE, AUGUST 2012 ▶ TELEVISION PERSONALITY HOST PHIL DONAHUE’S FAVORITE BIRD APP Whether you’re a novice who is looking to become an expert or an expert wishing to know more details that anyone could keep track of iBird is for you. iBird’s elegant interface, which can be mastered in minutes, opens you to the world of birding in a super visual way. Containing the equivalent of 14 book-based field guides with iBird you will be able to type a few letter of any species name and see it appear instantly on the Browse screen. Don’t know the name? Just enter your location, the bird’s most prominent color and possibly a few other details and watch iBird’s “parametric” decision engine find the exact bird you are looking for. It’s patented algorithm makes finding a bird a simple step-by-step process where nothing can go wrong. It makes sure that the result you get is the only possible bird with those characteristics. ▶ Parameter driven search engine lets you identify birds quickly, so you spend more time observing and less time reading. ▶ Search by Location, Shape, Size, Habitat, Color, Family, Length, Weight, Wing shape and much more. ▶ Taxonomic and Alphabetical Family sort options. ▶ Hand-drawn full sized color illustrations, with perching and flight views. ▶ Multiple professional photographs for each species showing sexes and seasons. ▶ Professionally recorded bird calls and songs for almost every species. ▶ Extensive identification, behavior, and habitat information. ▶ Full color range maps. ▶ Bookmark birds as Favorites for fast access. ▶ Notes can be saved with every species page, date and time stamped as well as geolocation information added. ▶ Comments can be shared with other birder by adding to any species page.